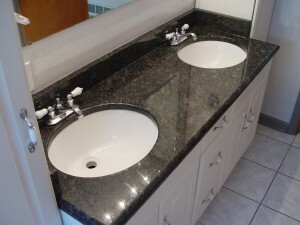 Congratulations on your choice of using Lexmar USA, Inc. for your granite, soap stone or marble countertop project. Choosing one of our premium grade granite slab products is one of the wisest investments you will ever make. Granite is one of the most beautiful and durable natural products in the world. Lexmar USA is proud to be the fabricator and installer of the granite material for your home or commercial business. The granite material supplied for your project has been cut from premium quality granite that has been selected for its natural color, grain structure and durability characteristics. Variations in grain, pattern and markings are inherent characteristics of natural stone and cannot be construed as a defect. “We will Warrant for a period of 10 years our workmanship Only as Granite is a natural product and is free from defects in the material and that the product has been inspected and approved under strict quality guidelines. This warranty applies to granite installed in its original location by one of our professionals and becomes null and void if the granite is moved from its original installation location. This warranty covers only the materials and workmanship supplied by Lexmar USA and expressly excludes defects in materials or workmanship supplied by any party other than Lexmar USA (3rd party installers). Any claim made against this warranty must be submitted in writing. Upon verification by a Lexmar USA field inspector of a valid claim made against this warranty, Lexmar USA will, at its option, repair or replace the affected material if it fails due to any defect caused by Lexmar USA during the fabricating cutting steps and installation of the granite material at your premises. In the event of a defect in material and/or workmanship provided by Lexmar USA, the cost of repair or replacement shall be borne by Lexmar USA and includes the labor charges necessary to repair or replace the granite material outlined in the purchase contract. If replacement of the stone is deemed necessary, replacement will be made with a granite marketed by Lexmar USA at the time it honors this warranty, as nearly identical as possible to the original stone in color, grain and grade. This warranty does not cover the cost of any repairs or replacement undertaken prior to your receipt of a claim verification from Lexmar USA. Stains and/or discoloration, dark spots or fissures which are naturally occurring in the stone. Normal spotting or discoloration caused by leaving acidic liquid spills on the surface which can be removed by fine gain steel wool and a stone cleaning compound. Customer use of abrasive of improper cleaning compounds on the granite or marble surfaces can void this 1 year warranty. Also scratches to stone surfaces caused by sharp instruments voids this replacement warranty. consequential or incidental damages arising out of the use or inability to use granite or marble surfaces for the application as stated herein. Some states do not allow the exclusion or limitation of incidental or consequential damages. For more information on our superior line of Granite, Quartz & Solid Surface Countertops, Countertop Remnants, Sinks, contact Lexmar USA today or talk to your home contractor about using a Lexmar product in your home renovation.